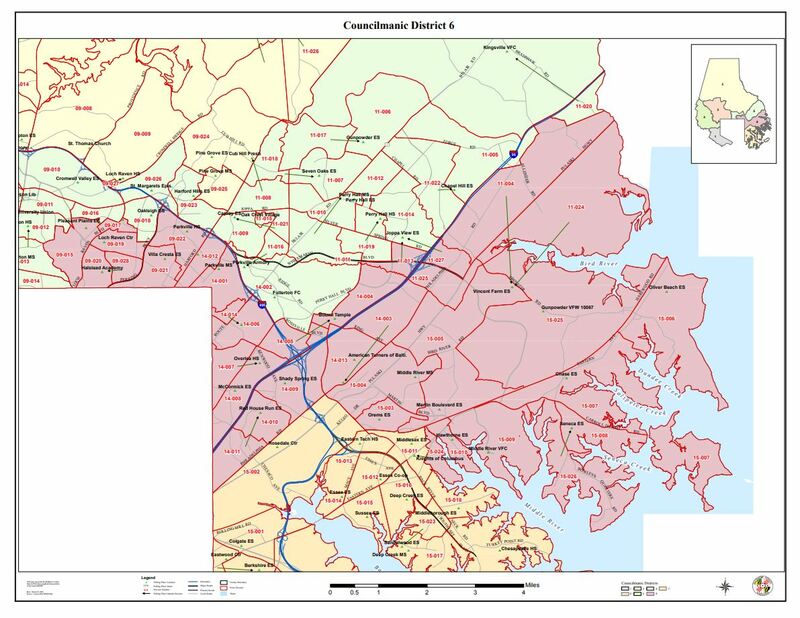 On November 6, registered Baltimore County voters residing in the county’s sixth councilmanic district will have the opportunity to choose between two candidates for the county’s first ever hybrid elected school board. 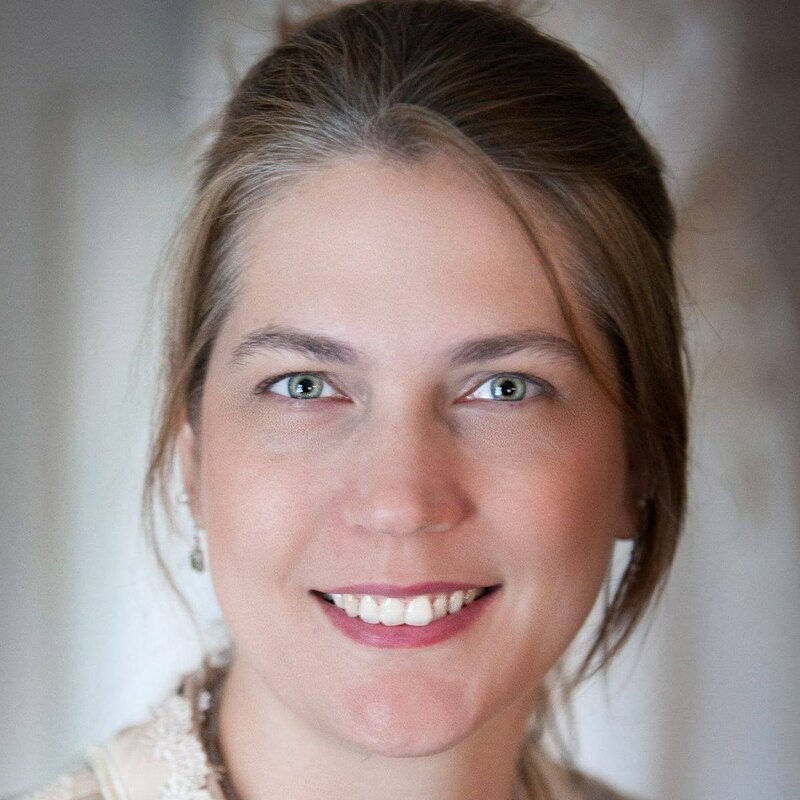 Longtime education and community advocate, Lily Rowe, will be running against educator, Ed Kitlowski, to replace attorney, Steve Verch, on Baltimore County’s Board of Education. The 12-member partially elected school board will be comprised of four governor-appointed members, one student member, and seven elected members who represent the county’s councilmanic seven districts. Rowe, who serves as the president of the Greater Hillendale Community Association and vice president of Loch Raven Recreational Council, is seeking to be elected to represent District Six as a member of the county’s school board, a district which encompasses the Parkville, Loch Raven, Overlea, Bowley’s Quarters, Fullerton, Glendale, Rosedale and Middle River areas. Click on map for additional areas in the district. Because only two candidates are running in District Six, Rowe and her opponent will bypass this month’s primary and compete for a spot on the board in November’s general election. However, in districts with more than two candidates – One, Three, Four and Seven –candidates’ names will appear on this month’s primary ballot. Ms. Rowe holds a B.S. in Political Science from the State University of New York at Buffalo. She served three years on the Central Area Education Advisory Council and has advocated for air conditioning, improved facilities and a heat closure policy for the Baltimore County Public School system. Rowe’s full bio can be viewed here. LR: I am running for the Board of Education because I have three children in the school system and I care very deeply for all children. I am a product of public education and I believe education makes good citizens. I am the President of Greater Hillendale Community Association and I have served on the Central Education Area Advisory Council. I’m familiar with all the policies and rules of the school system and if the people will have me, I’m happy to serve. LR: By far the greatest strength BCPS has is our teachers. Our teachers endured a lot under the previous administration. They had changes every year and most of the time the implementation wasn’t smooth. The idea of “flying a plane while you build it” had a trickle-down effect of stress on our teachers. Yet they held on. They did whatever they needed to do to perform under sometimes the most unreasonable circumstances. Our teachers always come through. They are the most courageous people I have ever met. BCPS has a very good way of offering school choice options within the public-school system, in a way that doesn’t defund public education. Our magnet school offerings allow students to study according to their interests. We can’t offer every program in every school because of the expense, however by using magnet schools we can provide opportunities to study many things in depth. Baltimore County has one of the best arts programs as a result. During the magnet audit, our communities said repeatedly how much they loved the magnet offerings and how they would like to see those seats increased. I think diversity of study options within the public-school system is a good thing. Baltimore County has a great early childhood intervention program that I think many in the community might not even be aware of. Child Find is a program the school system pays for even if a child is too young to enroll in public school. My own son benefited when he had a speech impairment at 2 years old. He was able to start speech therapy at the local elementary school with the therapist on staff there immediately. These early interventions really help children to enter school prepared. I would encourage any parent who feels their child might be even a little developmentally behind to seek a free Child find evaluation in the school system. One of the things I have been most impressed with is our process for doing a boundary change. School boundary changes are some of the most contentious and stressful things a school system must do. Our policy 1280 and the boundary changes I have seen in the last 5 years all followed a methodology that included the community and caused a great deal of discussion and cooperation. The outcome are solutions maybe not everyone agrees with, but I feel the majority find the process to be fair. That process is very transparent, and open. I would like to see more of the school system’s policies involve the community in this way, particularly in the development of a 10-year school facilities plan. LR: The school system’s greatest weakness is that the Board of Education does not currently hold the superintendent accountable for the school system. The mindset of the current Board majority is that they simply act as a rubber stamp for the superintendent. Not to mention the fact that the most important job the Board of Education has is to hire a Superintendent. With 13 months to accomplish this they did not have an open applications process. Not one person applied for the job. Not one person was interviewed. No discussion took place about how the process for hiring the Superintendent should even be done. They completely steamrolled the views of four members of the Board and most taxpayers who wanted to see a fair open process and an audit. Additionally, we have not completed an audit after the previous Superintendent’s incarceration to determine the extent of impropriety. It’s the only thing the people talk about when I door knock. I can’t explain why they did this except to say there is a correct way to do things and an incorrect way. I don’t believe the current Board majority is correct in the way they are attempting to hire a Superintendent with zero process. That’s not even getting into the fact that the person they want to hire, while favored by a lot of teachers has two ethics violations. I believe the main things teachers fear is that someone will be hired by the Board who will be just as innovative as Dr Dance and will change a lot of things fast again. Our teachers have been through a lot. You can’t change the direction of the titanic on a dime without a lot of stress. We need stability, but we need it the right way for the right reasons. We need to follow a fair, transparent process. We need to find ways to insure accountability within our procurements department so that we are making sure as much money as possible is making its way to the classroom. There are many things BCPS pays more for than other school jurisdictions in the state. We need to review these processes and fix them. Waste fraud and abuse is a real thing. No large organization is immune, and we need to have policies in place to protect against this. Secondly, there is no meaningful cooperation between the community and the school system in the running of the school system. I see the school system struggling to obtain community feedback and when that feedback comes in the public often feels that the decisions are completely opposite of the feedback, with little discussion about why the decision was made that way. People also often feel that the decision was made well before any feedback was obtained. We must have a 10-year facilities plan. Currently the State is reinventing many of its policies regarding how state funding will be applied for school construction projects. There is every reason to think the state will also have more money to devote to this, particularly if the ballot initiative dedicating casino money to the school system is passed by voters this fall. We need to watch closely what the state’s new guidelines are and develop an equitable plan to improve all our school facilities to meet the state’s new school sufficiency guidelines. These include adequate HVAC systems provide both AC and heat to keep classrooms within an acceptable temperature and humidity range. Many of our schools do not have acceptable minimum conditions. We need to have formulas for school construction funding that consider not only overcrowding but also the overall condition of the building. We must improve special education services. Many of our special education parents are very unhappy with the results of special education services. I have spent a lot of time listening to story after story of frustrated parents spending tens of thousands of dollars advocating for something they have a legal right to within the school system. These problems need to be investigated and solutions need to pursue. LR: The school systems greatest challenge is that as a very large school system it is difficult to apply policies and rules across the whole school system equally well. One school might apply a policy one way and another area will apply it differently. Some areas might not apply it at all. This is particularly troubling in special education where individual schools can have a variety compliance issues. We need to achieve a level of organizational effectiveness where the policies and rules of the school system are being applied how they were intended to be at all schools equally. LR: Our greatest capital needs are that we have both severe overcrowding in certain areas and very poor facility conditions in other areas. To the degree that those areas are not the same areas there is competition for funds between the over crowded areas and the areas with poor facilities. We need to have a fair method for allocating capital improvement funds which weights both priorities against each other. LR: There is a difference between equity and equality. I believe the school system tries to be equitable however factors outside the control of the school system in the form of capital budgets, housing options, and family support systems etc. mean that students are all arriving at school with different levels of readiness to learn. When we have certain school communities where many children are coming to school unable to learn then we need to do whatever we can to mitigate the circumstances involved. If that means feeding children breakfast at certain schools, then we need to do that. The “community schools” model when it’s done right goes a long way to providing equitable access to education. But doing that might mean that communities with greater needs, might require greater resources. I’m okay with that. Education is always cheaper and more beneficial to society than ignorance, increased crime, and incarceration of large proportions of the population. LR: The role of the Board of Education is to provide a framework for the Superintendent to run the school system in the form of legislative policies. The Board of Education does not micromanage the school system, however if things are going seriously off track in one form or another, I don’t believe it’s inappropriate for the Board to become involved. The Superintendent needs to realize that he/she is accountable to the Board of Education. If the Board asks for information, it should be provided in a timely fashion. It is up to the Superintendent to run the school system and it is up to the Board of Education to make sure the Superintendent is doing that effectively. The Board of Education all hears parent appeals. To that degree the Board acts in a quasi-judicial capacity as well as a legislative capacity. LR: I believe it’s polite to hear people out. However, I’m going to vote the way I think is in the best interests of our school system. LR: Neither. Public schools are government entities. The Board of Education is an entity of the State of Maryland. To that end the Board of Education is accountable to the Maryland State Constitution and the Constitution of the United States of America. As such it is the job of the Board of Education to create policies that insure the school system is fulfilling its constitutional obligations to the community fairly and impartially. The Board doesn’t represent either in that sense. That said the Board of Education does have an obligation to students and their families as the recipients of educational rights. The Board protects the right to a public education and oversees the equitable distribution of this very important public good. LR: I already am. I have been an advocate for school facilities via the Facebook group BCPS Parents & Teachers for Equitable Facilities. People already contact me, and my contact information is widely published. I have email, a phone number and a PO Box. I’m not a hard person to get hold of. LR: Yes, in some schools. We need to have better consequences for actions and we need policies to be enacted the same way across the whole school system. The school system needs to investigate the problems we are having with school climate and figure out exactly what it’s going to take to make all children safe in schools. Right now, they are not. There are fights in some schools daily. LR: I have three children in Baltimore Count Public Schools. I spent three years on the Central Area Education Advisory Council and I have advocated for facilities and other school issues for the past 5 years. LR: I think it’s very important that we pay attention to the biological development of children in elementary school. I have no objections to 1:1 devices in middle and high school. However, I have questions about what age it’s safe to begin doing this. I also have questions about the expense of the program. We are not benefiting from economy of scale purchases of these devices and I think that goes back to the need for an audit of our procurement department. LR: I will base my decisions on each issue. I will study the facts of the situation. I will listen to all sides of the debate and then I will confer with fellow board members. In the end I will vote according to my conscience concerning what I think will make the school system the best it can be and what is in the best interest of our students. A strong robust public-school system is in everyone’s best interests. LR: Technically it is the Superintendent’s job to ensure that these things are done properly according to the Board of Education’s policies. Obviously recent events have revealed a breakdown in this. The audit will reveal where we need to improve policies. I would like to see an end to the routine use of “piggyback” and “no-bid” contracts. I would also like the Board to have more options within the contract votes than only one contract with a 100% up or down vote. The Board of Education needs to set procurement policies and then refuse to pass contracts which do not comply. It’s really that simple. As long as the Board approves contracts for which there are ethical concerns, then ethical problems will persist.